EU Oil Embargo Pains Iran, But Is It Enough? 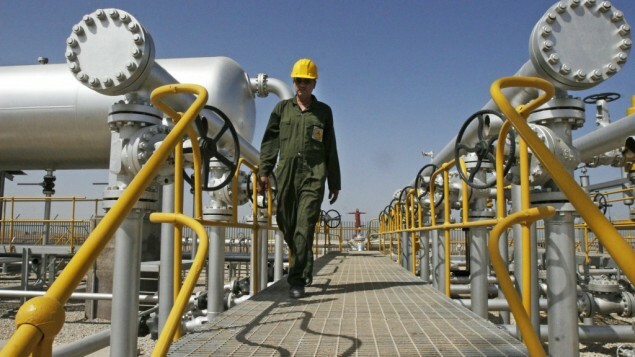 The European Union’s embargo on Iranian oil went into effect on Sunday, July 1. Other countries cut back their imports. The regime admits it’s feeling the sting but is boisterously defiant. These sanctions are the toughest yet but they will only succeed in stopping Iran’s nuclear program if the regime’s very existence is threatened. The key question now is whether it is too late for sanctions to work. The pain caused by these sanctions should not be dismissed. Estimates vary as to how much of the regime’s revenue comes from oil exports, with some saying its 50% and others putting it as high as 85%. No matter what the truth is, the Iranian economy was a shambles before these sanctions began. In 2010, the regime had to cut funding to Hezbollah by about 40% because of financial restraints. Plus, rising domestic consumption takes away from Iran’s oil exports more and more each year. Some studies forecast that Iran would have to cease all oil exports in order to accommodate its own oil needs by 2015. Iran’s exports began collapsing immediately after the U.S. began planning sanctions on foreign companies involved in the regime’s oil trade. The regime is suffering from a 40% decline in oil exports already. Iran has already lost at least $10 billion as its output is at its lowest level in 20 years. Inflation is above 20% and the Iranian people are, unfortunately, under tremendous stress. “Little by little, even fruit is becoming a luxury,” said one shopkeeper in Tehran. The Obama Administration is being criticized for issuing exemptions from sanctions to Iran’s top 20 oil buyers. However, in fairness, the “stick” of possible sanctions and “carrot” of possible exemptions forced these countries to reduce their purchases. Japan received an exemption for cutting back its Iranian oil imports by 15-22%. Singapore, which only gets about 1% of its oil from Iran, was exempted but its imports are on a “very sharp downward trend.” Turkey’s state-owned oil company, Tupras, reduced imports in May by 20%. The remaining buyers of Iranian oil are likely to sense this dependency and, with the strong hand at the negotiating table, demand price cuts. This approach was less successful with China, India and South Korea. China, for example, cut its oil imports from Iran by about 50% earlier this year over a dispute over prices. Its level of imports has gone back to normal in the past three months. The six-month exemption means that China will be buying about 500,000 barrels of oil from Iran every single day until then. India only cut its imports by 11%. South Korea originally said it would end all imports of Iranian oil on July 1 because it couldn’t get insurance for its tankers. Iran is offering to use its own tankers to transport the supply and South Korea is considering it. There are other loopholes in the sanctions. For example, Genesis Assets Managers, which invests in a company with a portfolio entirely based on business with Iran, has escaped punishment. The Iranian Bonyads pose a bigger problem, as the Money Jihad blog explains. These are tax-exempt charities partially owned by the regime that are under the direct supervision of Supreme Leader Ayatollah Ali Khamenei. They control 20-40% of Iran’s entire GDP but are off-limits from sanctions because of their charitable work. There is no transparency and donations made to them, either in the form of goods or in cash, sustain the regime and could be easily diverted to paying its security services, sponsoring terrorism or its WMD programs. Iran is trying to display strength. It boasts that it has $150 billion in foreign reserves and is earning revenue from increased exports of electricity to Turkey and Iraq. The Tehran Times reports that the price of oil rose 9% because of the embargo, but the India Times says oil prices actually dropped on July 2. One concern is how Iran will react to the embargo. The regime needs major oil revenue. If it must sell less, then it needs to get a higher price per barrel. Iran must also hope that higher oil prices will pressure countries to reverse course and increase their imports again. One way to do this is through conflict. A terrorist strike on Saudi oil fields, for example, would accomplish this. The Saudis and the United Arab Emirates paved the way for the sanctions by increasing their output and Iran clearly threatened them in return. The Iranians should be expected to strike at the Arab countries and perhaps even in the West. The Iranian parliament is now discussing legislation authorizing the regime to intercept any oil tanker transiting the Strait of Hormuz from a country taking part in the sanctions. The Saudis have prepared for this scenario by reviving an old pipeline so they can sell oil through the Red Sea if necessary. Confrontation is on the way, not only because it is in the regime’s nature, but because it needs it.